Want to get into video advertising but don't have the resources to produce videos? You've come to the right place. 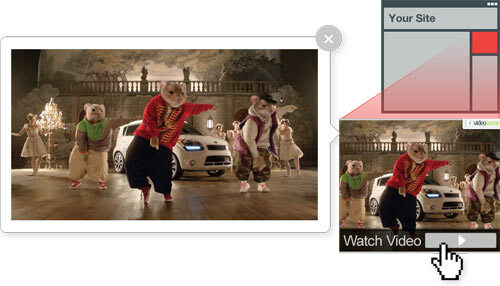 With VideoSense, publishers aren't required to have videos on their website to be able to monetize viewer traffic. Our platform is capable of deploying video ads using various methods, including search, overlay ads, web browsers, and mobile devices, so you can display video ads together with images, text, or apps. VidoeSense guarantees that you earn the most revenue possible for each ad. Thanks to our real-time bidding system, we can ensure that publishers are able to display the best and highest paying ads. And as one of our publishers, you'll be pleased to know that we provide the highest payouts in the industry. Additionally, you don't have to worry about getting your earnings because our automated system sees to it that you get paid on time, every time. Ready to earn revenue from video traffic? Create a publisher account today!